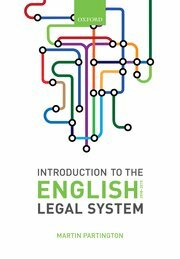 The review of the structure of the civil courts, undertaken at great speed and efficiency by Lord Justice Briggs, was published on 27 July 2016. Although commissioned by the Lord Chief Justice and the Master of the Rolls rather than by Government Ministers, there are strong reasons to believe that its recommendations will be taken forward by Government. The one uncertainty is how far the new Lord Chancellor and Secretary of Justice, Lynne Truss MP, will focus on an initiative originally supported by her predecessor, Michael Gove MP. The recommendation that has grabbed most public attention so far relates to the recommendation for The Online Court. This would be a new court, designed to be used by people with minimum assistance from lawyers, with its own set of user-friendly rules. It is anticipated that it will eventually become the compulsory forum for resolving cases within its jurisdiction. It should start by dealing with straightforward money claims valued at up to £25,000. The review makes recommendations about how to help people who need assistance with online systems. It is also provided that complex and important cases, even of low monetary value, should be able to be transferred upwards to higher courts. Briggs also recommends important changes to who should be undertaking the work of the courts. Judicial resources should be made more readily available by the creation of Case Officers. These would be a senior body of court lawyers and other officials who can assist with certain functions currently carried out by judges, such as paperwork and uncontentious matters. They would be trained and supervised by judges. Their decisions would be subject to reconsideration by judges on request by a party. They would operate independently of government when exercising their functions. Thirdly Briggs deals with the thorny problem of the Enforcement of Judgments and Orders. He recommends that there should be a single court as the default court for the enforcement of the judgments and orders of all the civil courts (including the new Online Court). This should be the County Court, but there would need to be a permeable membrane allowing appropriate enforcement issues to be transferred to the High Court, and special provision for the enforcement of arbitration awards, in accordance with current practice and procedure. He wants to see all enforcement procedures being digitised, centralised and rationalised. Fourth, Briggs is keen to promote Mediation/ADR. This has been on the agenda for years. In this context he recommends the re-establishment of a court-based out of hours private mediation service in County Court hearing centres prepared to participate, along the lines of the service which existed prior to the establishment and then termination of the National Mediation Helpline. My view is that all county court hearing centres should be required to offer this; but Briggs clearly felt this was a step too far at this stage. he would like to see the Family Court being given a shared jurisdiction (with the Chancery Division and the County Court) for dealing with Inheritance Act disputes and disputes about the co-ownership of homes. Announcements about the Government’s response to these recommendations and how they fit into the current programme of reform of the court estate will be noted here in due course.